Where Will Registrants For New gTLD’s Come From? Where Will Registrants For New gTLD's Come From? 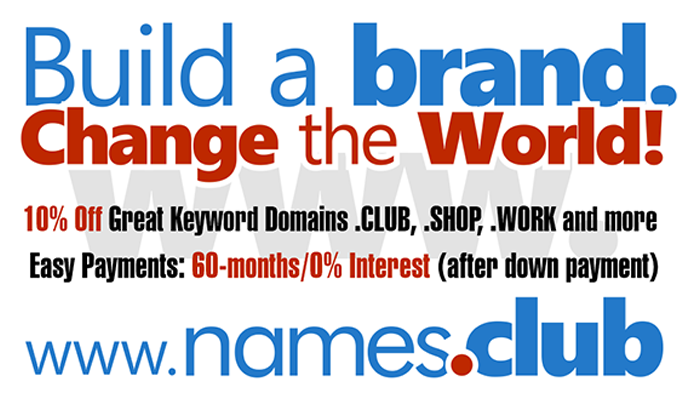 New gTLD domain names are a source of discussion and debate throughout the domain investment space. Off the top of my head, I can’t really think of a more polarizing topic related to domain names. Last week, I reached out to a random group of colleagues to get their feedback on the new gTLD domain names that will be rolling out soon. I asked them to complete the following sentence using 5 of their own words or less: “gTLDs will…” As you can see below, the responses run the gamut. Read the end of this article on Eliot's blog. Check the list of new gTLD applications by Uniregistry, here." Pay attention if you get an offer to buy a domain with "villa" in it. If someone contacts you about buying your villa.tld or villas.tld domain name, you might want to do some digging. A Mark Monitor client appears to be on a quest to buy up some of these domains. On July 6 the company's "privacy" service DNStinations became the owner of Villa.me. The company also recently hand registered villa.am and villa.sh. It also acquired the domain name Villas.biz (plural). It doesn't look like Villa.com or Villas.com have changed hands recently. Both have whois privacy, but I suspect they're owned by the same company as they're at the same registrar, both are parked at Bodis, and the historical whois points to the same domain investor. Donuts has applied for the top level domain .villas. It will be interesting to see who is behind the recent acquisitions. What’s Your Biggest Domaining Blunder? "...but I can tell you it did teach me to dip my toe in the water with new TLDs before betting the farm."